A set of recent CIMMYT era hybrids - spanning from the early 1990s to the late 2000s - was analyzed. The hybrids were grown in four different environments in two locations in Mexico: High nitrogen (HN) and low nitrogen (LN) in Agua Fria, and well watered (WW) and water stressed (WS) in Tlaltizapan. A hyperspectral spectrometer was used to take leaf level reflectance data weekly on all plots from late vegetative stages to maturity. In addition, other typical agronomic traits were recorded: grain yield, plant height, ear height, root and stalk lodging, etc. This dataset also contains vegetation indices that have already been calculated for each plot on each sampling date. The data was used to see how traits changed in CIMMYT hybrids over time. In the process of migrating data to the current DDL platform, datasets with a large number of variables required splitting into multiple spreadsheets. They should be reassembled by the user to understand the data fully. This is the sixth spreadsheet of six in the Using Leaf-level Hyperspectral Reflectance Data to Analyze Genetic Gain in CIMMYT Maize Hybrids, Leaf Level Reflectance Data in a Water Stressed Environment in Tlaltizapan. 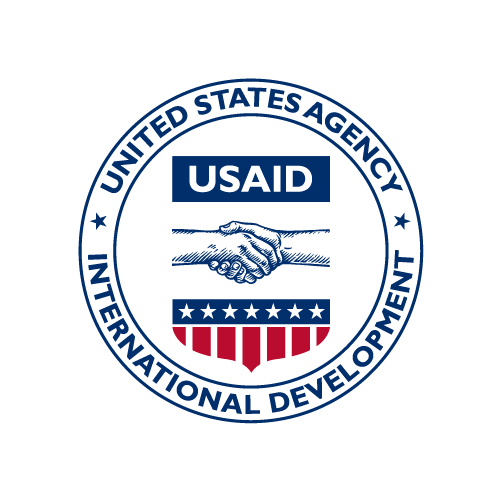 The U.S. Borlaug Fellows in Global Food Security program is funded by the United States Agency for International Development (USAID) to expand the pool of U.S. food security professionals who have the scientific base needed to effectively study and manage the global landscapes in support of sustainable food systems. The intended objectives of the U.S. Borlaug Fellows in Global Food Security program are: a) To help train a new generation of interdisciplinary U.S. scientists with fluency in global food security and the skills to strengthen the capacity of developing countries to apply new innovations and technologies, b) To support the key research themes of the Feed the Future initiative and increase understanding of the links between agricultural production, nutritional status, natural resource conservation, and development, c) To foster cross-cultural understanding and dialog. These data show the quantities of imported maize and rice seed imported into Nigeria from the relevant source countries for the period 2008 to 2015. The data source is the Nigerian Customs Service. In the process of migrating data to the current DDL platform, datasets with a large number of variables required splitting into multiple spreadsheets. They should be reassembled by the user to understand the data fully. This is the sixth spreadsheet of six in the Using Leaf-level Hyperspectral Reflectance Data to Analyze Genetic Gain in CIMMYT Maize Hybrids, Leaf Level Reflectance Data in a Low Nitrogen Environment in Agua Fria. In the process of migrating data to the current DDL platform, datasets with a large number of variables required splitting into multiple spreadsheets. They should be reassembled by the user to understand the data fully. This is the third spreadsheet of six in the Using Leaf-level Hyperspectral Reflectance Data to Analyze Genetic Gain in CIMMYT Maize Hybrids, Leaf Level Reflectance Data in a Low Nitrogen Environment in Agua Fria. In the process of migrating data to the current DDL platform, datasets with a large number of variables required splitting into multiple spreadsheets. They should be reassembled by the user to understand the data fully. This is the second spreadsheet of six in the Using Leaf-level Hyperspectral Reflectance Data to Analyze Genetic Gain in CIMMYT Maize Hybrids, Leaf Level Reflectance Data in a High Nitrogen Environment in Agua Fria. A set of recent CIMMYT era hybrids - spanning from the early 1990s to the late 2000s - was analyzed. These data are the results of a hyperspectral spectrometer analysis done in a water stressed environment in Tlaltizapan. In the process of migrating data to the current DDL platform, datasets with a large number of variables required splitting into multiple spreadsheets. They should be reassembled by the user to understand the data fully. In the process of migrating data to the current DDL platform, datasets with a large number of variables required splitting into multiple spreadsheets. They should be reassembled by the user to understand the data fully. This is the second spreadsheet of six in the Using Leaf-level Hyperspectral Reflectance Data to Analyze Genetic Gain in CIMMYT Maize Hybrids, Leaf Level Reflectance Data in a Water Stressed Environment in Tlaltizapan. In the process of migrating data to the current DDL platform, datasets with a large number of variables required splitting into multiple spreadsheets. They should be reassembled by the user to understand the data fully. This is the third spreadsheet of six in the Using Leaf-level Hyperspectral Reflectance Data to Analyze Genetic Gain in CIMMYT Maize Hybrids, Leaf Level Reflectance Data in a High Nitrogen Environment in Agua Fria.